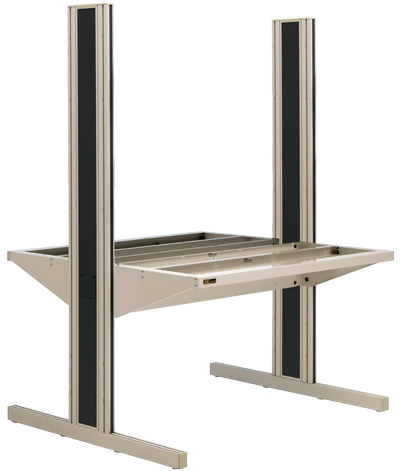 IAC has been a key manufacturer of steel laboratory furniture since 1991. 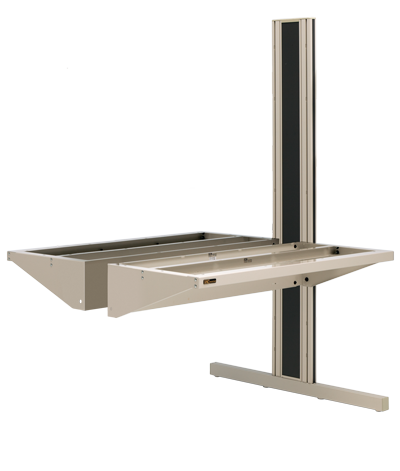 Entry into the laboratory market was inspired by IAC's award winning Dimension 4 (D4) Modular/Adjustable workstations. Flexible and Adaptable Workstations were originally developed for markets apart from laboratory environments, however it wasn't long before the laboratory managers and architects discovered the value and application of the D4 modularity/adjustability within lab environments; Thus inspiring the design of the LD-4. 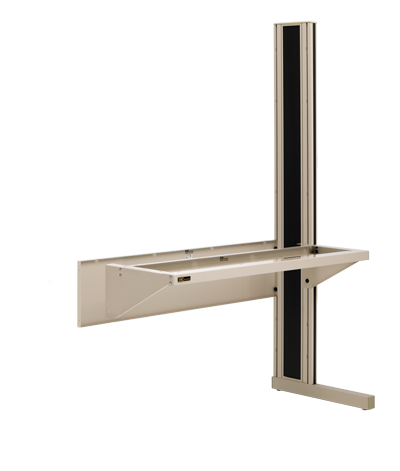 With a significant enhancement to the bracketing and cross beams to support standard laboratory worksurfaces (TRESPA/Phenolic Resin, Epoxy Resin, Stainless Steel, Chemsurf and of course standard Plastic Laminate). The LD-4 is perfect in any laboratory atmosphere, whether as a standalone workstation or island configuration. The LD-4 offers the diversification needed to furnish any laboratory environment. For decades IAC has modified its standard lab workstations, workbenches, tables and cleanroom furniture with custom lab applications. These applications have become widely popular and is why we are proud to provide your LAB with the new standard for Open LAB Environments. See everything for this Series below. Add whichever components you'd like into your cart to receive your quote from IAC. Provides interactive steps to visually build your product. We'll send you a quote and a technical drawing for your completed product. Your previous selections are already in your cart. If you are making a change, please remove all your previous selections from the Quote Builder cart, at right, before using the "Add to Quote" button again. This will prevent duplication in your order. 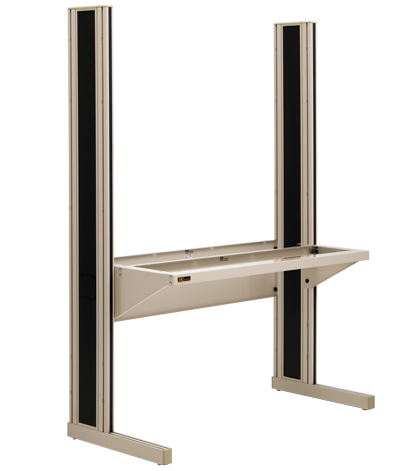 Trim and Accent color laminate must be specified when ordering Dimension 4 uprights, Pro Series, rolling carts, MAS and SAS, and Airclean Workstations.